An undersized resonant kick head for a floor-kick tom conversion or a jazz kit kick drum. 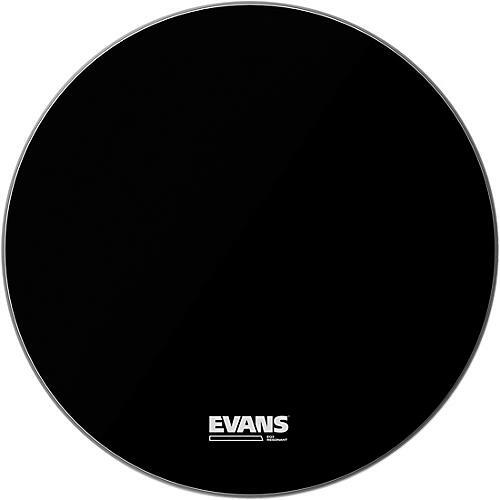 For over 40 years, Evans has been a pioneer of drum head manufacturing and design. Known for innovative designs such as EMAD, EC2S, and the Hydraulic series, Evans drum heads are made in the USA in a state of the art manufacturing facility. Acquired in 1996 by DAddario and Company, the global leader in musical instrument accessories, the Evans brand is synonymous with quality and consistency.